The son of Joel J and Sarah Jane (Brown) Fair, Clarence Eugene Fair was born October 18, 1877 near Gilman City, MO, in Harrison County. He began his post-secondary education at Avalon College, Trenton, MO, but transferred to the First District Normal School, Kirksville, after one year. He received a Bachelor of Scientific Didactics in 1901, taught in Missouri and Illinois public schools for several years, then enrolled at the University of Missouri for a Bachelor of Arts degree. He returned to the Normal in 1905 as Assistant Professor of History, taking a leve of absence to complete his Master of Arts at the University of Missouri in 1909. Upon completing his Masters degree, Fair was promoted to Professor of American History. 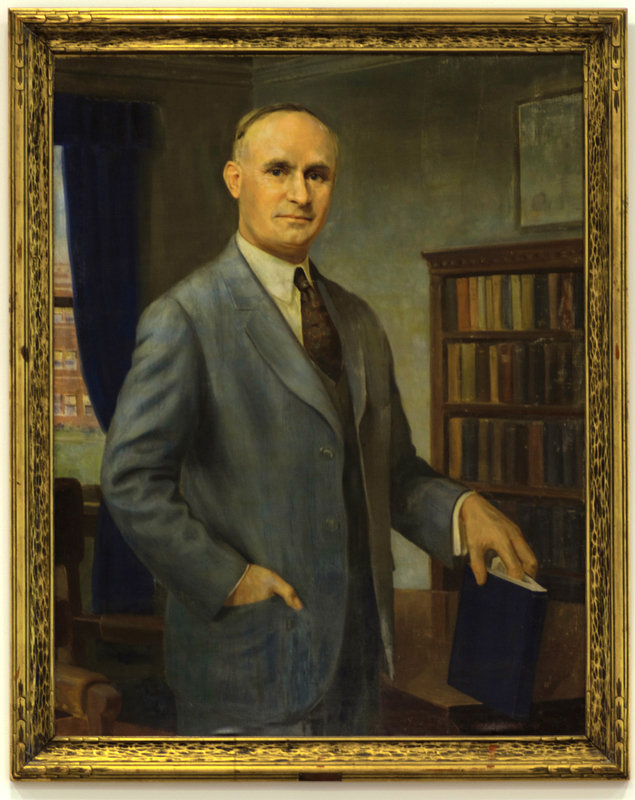 When political science and history became separate departments in 1916, he was named Professor of Political Science and Head of the department. He took another leave a few years later to return to graduate school and earned a PhD from Columbia University in 1923. Two years later, on September 1, 1925, he took over as 6th President of the school, but this time known as Northeast Missouri State Teachers College. Fair was politically active most of his adult life and in 1920 ran for the Missouri House of Representatives on the Republican ticket. He won the election and served as Adair County Representative to the 51st General Assembly while continuing his position at the college. His other activities outside the classroom included leadership roles in the Missouri State Teachers Association and the American Association of Teachers Colleges; he served terms as president of both organizations. He also wrote three textbooks, Outlines of Oriental History (1908), Government and Politics of Missouri (1922), and Public Administration in Missouri (1923). While attending the Normal School, Fair met Alta Mona Lorenz, a fellow student from Kirksville, and the couple married August 19, 1903. They had three children, Elizabeth June, Robert Eugene and Sarah Eleanor, all of whom graduated from Northeast. President Fair was speaking before a session of the first national convention of Alpha Phi Sigma honor society in St Louis on August 12, 1937, when he suffered a stroke mid-speech. He died in a St Louis hospital the following day, August 13, and was returned home for burial at Kirksville's Maple Hills Cemetery. A student apartment complex built in 1958 was named Fair Apartments in his honor, and his is among the oil portraits hanging in the Presidents Gallery.